Celebrate National Reading Month! 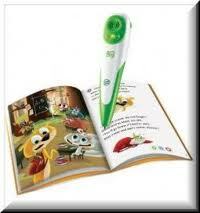 LeapFrog Tag Reader Deal – ends soon! Celebrate National Reading Month! Tag Reader on Sale $34.99 and $3 off Tag Books. Offer valid March 1st through March 14th! Hurry and catch this great deal while it lasts!